Totally forgot about this. Trying to catch up now. Vicarin wrote: @wam: A BoomFrog lynch isn't on the cards here; who are you planning to switch to? Not: sabrar, somi/replacement, super Jedi, plytho, vicarin, mpolo. For the rest I need to 're read to make my mind up and today is chaos at work! You had SuperJedi as your scummiest read on page 6 and now he's one of the people you're not willing to lynch? My read is still scum. But lynching a new player day 1 in their first game is too mean for me. @bessie: you are totally non-committal on moody here. He is the towniest player here. Between the two he posted twice and he has 3 players out of your bottom 4 as non-votable. Can you explain this read in some detail? A question response: @mpolo: why didn't you let Mark answer the question? I thought the question was a general question from confusion of BoomFrog rather than a specific question meant to prod Mark_Cangila. Had to skim pretty quickly here. The main thing going on is the conflict between Sabrar and bessie. I kind of like moody's analysis here (Re: possible connections). Sabrar has been active and vocal, and is always a boon to town if he is town. Bessie is almost always townie due to vagueries of the RNG. The idea of lynching one of them to catch the other is good, though there's not a complete guarantee that this is not town on town. I think that gives us the most flexibility on how to react tomorrow. @Sabrar: you liking moody's and mpolo's reasons for joining the bessie bandwagon? Not particularly but I don't remember any similar situation from before. I have mpolo as almost surely townie and nothing pings me about moody either. Why do you have mpolo as strongly town? I'm just getting more hedging bets vibes from above, saying he reads both you and bessie as townie, therefore you two fighting means we should lynch both(??? ), but then says that there's a chance it could be tvst anyway. Vicarin wrote: Why do you have mpolo as strongly town? He's not saying that. He actually doesn't mention his own reads at all. Oh, you're right. Even more hedging of bets then. mpolo wrote: I thought the question was a general question from confusion of BoomFrog rather than a specific question meant to prod Mark_Cangila. That means you really weren't paying attention given that BoomFrog is explicitly asking Mark to use his own words in the quote chain you're responding to. plytho wrote: How is that townie? Scum!mpolo doesn't want to answer publicly instead of scum!Mark, he would write it in the qt instead. Scum!mpolo doesn't want to answer instead of town!Mark because he wants TvT conflict. Plus I believe that scum!mpolo would have tried to produce something more productive given his limited time. @Vicarin: After all this talk about math did you really not guess where the 85% is coming from? Then you're misinterpreting it (which coincidentally makes it more likely that I'm right). I'm not sure where time is at the moment. I have a fairly townie feeling for Sabrar at this point. In my super fast read-through, bessie didn't leave a particular impression, which is unusual, in that she usually leaves me a fairly strong townie feeling. Considering the state the day is in, I pretty much have to be satisfied with my vote. 3.5 hours left from D1 but we can post/vote after deadline if mod didn't call the night and there was no hammer. bessie wrote: Ok you want to vote for me. Nice how you fished for support first though. You should know that I don't like the kind of vote shenanigans that making a tie implies. I was also right on the burst of activity overnight. mpolo wrote: In my super fast read-through, bessie didn't leave a particular impression, which is unusual, in that she usually leaves me a fairly strong townie feeling. This is exactly the sentiment I was describing here. moody: want to come back over to SuperJedi seeing as you were actually finding him scummy and deserving of a vote earlier? I haven't read the latest yet, but I should be around in an hour or so. @bessie if you haven't claimed, you should do so. bessie doesn't believe in claiming so don't hold your breath. It doesn't mean that and you know it. It means they would be town by POE. It has nothing to do with how strong my read is on them. You think it doesn't? Ok, seeing as you can clearly do some statistics: give a quick list of how likely you think each person in the game (other than yourself) is scum (so, a slightly more in depth version of a town to scum list). Make sure you give me, bessie and Mark at least 85% each considering you have that amazing read on us. Vicarin wrote: Stop calling "pointing out how inconsistent your position is" strawmaning: sometimes, you are just wrong. No. Those are not evidence that my position is inconsistent, you are putting words in my mouth. That is strawmaning. Out of a morbid sense of curiosity: what WOULD you accept as evidence that you're wrong? What would you accept as proving that your position is inconsistent? Because it still looks like you'll just react to anything with accusations of strawmaning from over here. Would still like these at some point seeing as you apparently skipped them. I ignored the first because it was based on false premises. As for evidence a flip will do nicely (what else could you use evidence in a game of hidden information?). As for inconsistencies vs strawmaning I would like you to address this first. So having had a brief skim. Of those I haven't ruled out. Zen. Still pretty neutral but latest posts don't long me. Mark. Hard to tell but I don't think there is anything to move to a lynch. Moody looks better on 're read so not going to vote. @Sabrar: I addressed your initial argument which was that you were 85% confident. Just because you shift the goalposts and claim that you were just making the argument that you got some reads correct (guess what? Most people get some reads correct. Should I be 85% confident?) doesn't mean you weren't trying to use it as evidence for a much stronger statement. The first question isn't based on false premises, it's an exercise that I was planning to get people to do anyway if you look through my Chaos spoilers because it's good for getting people to calibrate their reads. Just give some numbers, easy enough. Bessie/Me/Mark claiming an Ace PR. Someone attempting to speedhammer but failing to do so because they messed up using the preview function. Someone blatantly refusing to make reads and just switches their vote around every 10 minutes from now until deadline. Literally every other person in the game tells you your argument is bad. With evidence. Most of the other people explain the above. Some other people explain the above. Just tell me where on that scale we could go before you'd reconsider your views, maybe put in an extra stage or two with explanation. Ugh, don't like any of this, but need to sleep. In the vain hope it might make a difference. Someone claiming scum outside the triplet you gave - really? do you think it would ever happen? why include it? Bessie/Me/Mark claiming an Ace PR. - I've been dreading this the whole time. But if you were Masons you would have realized what my 85% referred to. 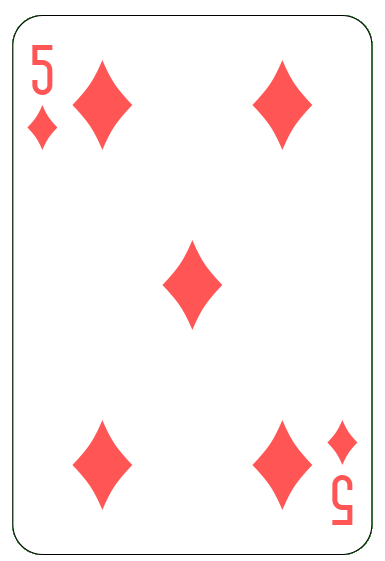 As explained before (by the multiple Vig discussion) there is approximately 15% chance that there are at least 2 Aces in the game. Someone attempting to speedhammer but failing to do so because they messed up using the preview function. - D1 speedhammer when there is a comfortable margin between first and second? Why bring up possibilities that won't happen? Literally every other person in the game tells you your argument is bad. With evidence. - circular reasoning, what is this evidence you're speaking of? Most of the other people explain the above. - What above are you referring to? Unlikely scenarios that won't happen? Vicarin wrote: Just tell me where on that scale we could go before you'd reconsider your views, maybe put in an extra stage or two with explanation. Why would I need to come up with strange scenarios? Why not focus on what's actually happening? Vicarin wrote: @Sabrar: I addressed your initial argument which was that you were 85% confident. Yes, it was based on math. No matter how many times you claim I shifted, it never happened. Please stop this line. Yes, I realised what you were getting the 85% after you told me my first guess was wrong, hence my updated comment after that. No, that's not based on math, as the chance of me and bessie being masons in particular is clearly way lower than 15%, because that's the probability of them existing in the first place, so that's why I didn't jump to that conclusion first. This sort of miscalculation is why I want to see the scum probabilities that I've asked for twice. It should take a minute or two at most. Asking me to stop pointing out you're shifting the goalposts when you've falsely accused me of strawmanning your argument, repeatedly, is rather hypocritical. If you claim ridiculously high confidence, defend it with evidence which is as strong as the claim. For the evidence thing, who says you're not getting a ton from people? If everyone else looks at your argument and says it's flawed, is it more likely that everyone else is wrong, or that you are? How many previous reads being wrong would it take for you to consider that you might be wrong in this one? Zenii wrote: I haven't read the latest yet, but I should be around in an hour or so. @bessie if you haven't claimed, you should do so. I don’t believe in townies claiming to avoid the lynch. I also don’t believe in votes made purely for self preservation. If a townie is scummy enough that the only way they can survive until the next day is to claim or make a self preservation vote, they need to step aside, or they will dominate the next day’s discussion too. Sabrar wrote: @bessie: you are totally non-committal on moody here. He is the towniest player here. Between the two he posted twice and he has 3 players out of your bottom 4 as non-votable. Can you explain this read in some detail? It’s an ordered list. moody’s play is consistent with his town play, whatever that means, I guess I should say it is consistent with his moody play. Even the part about lynching me because he can’t read me. I think this has come up before but I don’t have time to search for it. I do remember in Dracualfia how he wanted to policy lynch me as a possible recruit target (even though I was townie and I think dimochka had a cop on me too). bessie wrote: they need to step aside, or they will dominate the next day’s discussion too. I'm assuming you're vanilla then? In an open/semi-open set up this isn't necessarily true, since you could or less prove (or at least give evidence) to the claim. And your death wouldn't necessarily be more advantageous than the utilization of your role. Also I've found that mafia are likely to do town's job for them if they believe the claim. If you're a PR, you should absolutely claim. Not doing so just increases mafia's ability to target other PRs. Vicarin wrote: moody: want to come back over to SuperJedi seeing as you were actually finding him scummy and deserving of a vote earlier? What made you think moody might be wanting to switch back? Did anything change between his switch and this question? Vicarin wrote: Ugh, don't like any of this, but need to sleep. In the vain hope it might make a difference..
D1 has ended. bessie has been lynched. I'll post flavor a bit later when I have more time. What's happening? Everyone has stopped playing. I'm getting word that some of the players have been muttering about collusion and are calling in the arbiter. Here comes security. Oh look, they're taking away the lady in seat 10. And her dog. Too bad, I liked her. Okay, play is resuming again. Big pot shaping up. Somebody could win a lot of money here. Oh look, seat 5 went all in! And a call! Three of a kind against a spade flush draw. That's Sabrar, I think. Yes, that makes sense. He hit three fives on the flop, and with two spades on the board he's at worst a two-to-one favorite against any hand, and he's getting almost three-to-one on his money. He has been playing very mathematically accurately. Bad luck for him that his opponent has two spades though. Turn is a heart. Sabrar is looking good. Mon Dieu! A spade on the river. Sabrar has lost everything. For certain. He finishes in 12th place then. I'm just getting word now from the producers. It seems that bessie has confessed to security that she is part of the spade mafia. Quel surprise! Sabrar improves to 11th place. bessie has been detained by security and has exited the game. She was 3 of Spades, Mafia Goon. Sabrar was busted and exits the tournament in 11th place. He was the 5 of Diamonds, Vanilla Town. -You have a factional kill that one member of your faction may use each night to kill a player of your choice. -You have chat with -redacted- and -redacted- and may communicate with them in your private QT -redacted- at any time. You are aligned with Mafia and win when mafia controls half of the votes or nothing can prevent this from occurring. You are aligned with Town and win when all threats to Town have been wiped out. *Waiting on replacement to confirm. Day 2 begins now. Deadline is at 9:00 am Wednesday the 24th, here.